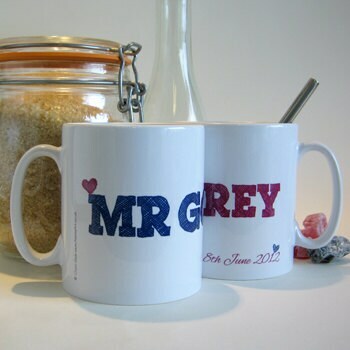 A pair of personalized couple mugs. 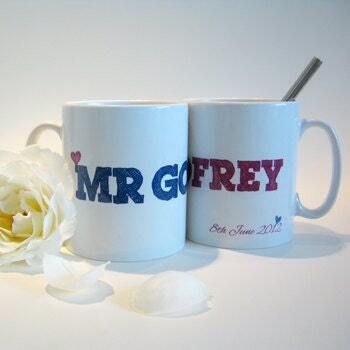 Each mug is personalized with a name and a special date. They could be given as a very thoughtful, highly unique, gift for weddings, engagements or anniversaries. 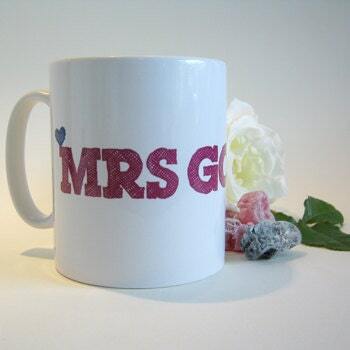 The mugs are available as Mr and Mrs, Mr and Mr or Mrs and Mrs. 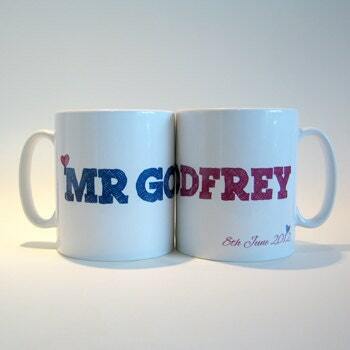 The surname can be the same or different on each mug. The date could be that of an engagement, a wedding anniversary or of the big day itself. 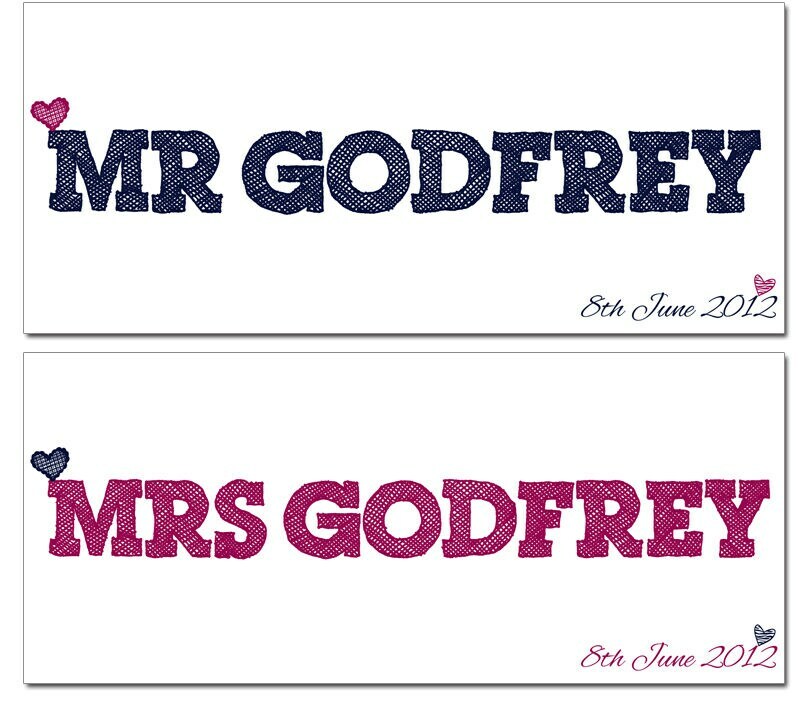 Unless you request otherwise, the larger font will be in a deep, raspberry pink for any 'Mrs" mugs and in a navy blue for any 'Mr' mugs. - Title and Surname for each mug. - Date for each mug. I print these mugs in my beautiful studio near Bath. Each order is lovingly made to order. Colours and text can all be personalised to your liking. Please allow upto 5 days for dispatch. If you are in a particular hurry please let me know your deadline and I will do my very best to get your order to you in time. Dishwasher and microwave friendly but, as with everything, will last even longer if they are hand washed!